The demand for point-of-sale (PoS) applications, from public service kiosk to personal mobile devices, has drastically increased since the last decade. PoS applications are a demanding environment that requires the interface to be responsive, accurate and easy to use for anyone. Menus and navigation in applications have traditionally been on the left, but many application developers choose to put them on the right so that the content can have focus on the left. In left-to-right languages, people are used to reading from the left, and so objects on the left hand side get more attention than those on the right. Previous research has shown the benefits of right-handed use for touchscreen mobile phones in several angles, such as performance, usability and user experience. The goal of this study is to investigate the differentiating aspects of left or right-handed user experience through the use of a popular mobile PoS application in Turkey, YemekSepeti, on touchscreen mobile phones. More specifically, this study aims to evaluate the left and right-handed user experience on touchscreen mobile phones regarding an application, which was mainly designed to be used with a defined thumb. For this purpose, a qualitative mobile usability test based on a multi-method approach was conducted with a sample of 8 Turkish college students who defined themselves as iPhone users. The tests were conducted with a predefined smart phone: iPhone 4S. The participants were observed during the task executions and any additional data was collected by the thinking-aloud, eye tracking and video-recording of the participants. After completing the tasks, the participants were interviewed to have further understanding on their thoughts and actions. 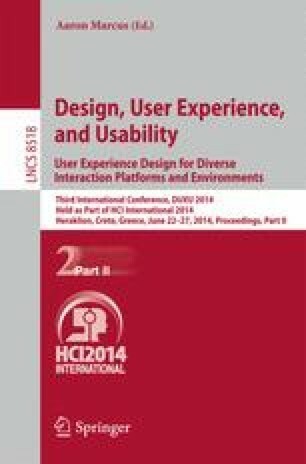 Findings support the notion that the usability of a touchscreen mobile phone was affected by both handedness and the layout of the applications in terms of entry speed, accuracy rate and inclusive touch interfaces.